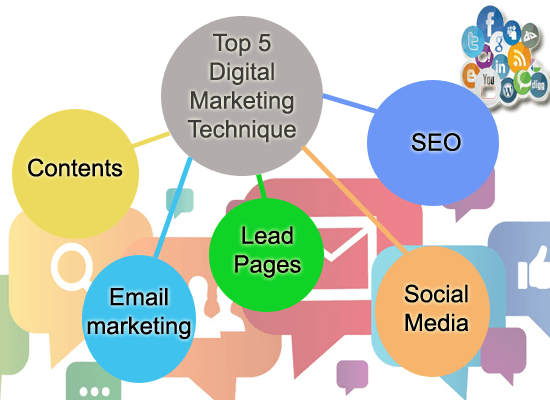 Learn digital marketing techniques and acquire a place for your blog in internet. Businesses online today needs an internet market with varied demographic people. Those demographic people visiting your site will turn in to your customers only when you are shown in the search engine. But the complicated part of it is how to get on search engines, how to rank your domain? This isn’t an impossible thing but a little difficult task that gives you success when planned strategically and executed sequentially. Tough, it may take some months but your hard work will never run into a vein. Here’s a bit of information I précised through my experience that gives you a decent amount of traffic if you do correctly. The term defines the value – – Content is king and content speaks. Google values the domains only with contents that bring value to the users and let them gain some knowledge. You can start a blog or website on whatever trending niche, but when it comes in terms of contents, your blog should speak about what is Unique in your topic. What it will give readers when they visited your blog? People love to read what’s new and trending, however, most topics were saturated but inventions never. Even in Online Money Making, every day new methods were discovered by everyone in the world, this means that even in a saturated topic there is a lot to deliver as a fresh and unique. Pull your blog with Fresh, Unique contents probably Google will love it and let you get to be rewarded. Blog with unique contents and who maintain value among the users will be ranked high in search engines and get a lot of traffic. The Email Marketing – TEASER for your new blog or website. When it comes in terms of web marketing Email marketing takes a significant importance to reach your potential visitors. It still remains very essential. Even in Emails, you should include great effective contents with the short descriptive narration of what you going to offer rather than dumping with the whole thing does your blog contains. Be informative so as visitors will become curious to know what you offer? Another vital breaking point in blogging is grabbing a part with tremendous growth in Social network platform. By creating a social profile for your blog, you can lay your way for a sequential residual flow of good traffic to your blog. Without social media accounts, it is merely a marketing suicide for your blog. Building a large number of audiences from social networks may push greater traffic to your blog or website gives high conversion from your landing page. If your blog was on Word Press, then you have a lot of social media plug-ins to install in your blog. The landing page is a great conversion tool for a blog or website and thus it plays a very crucial role in digital marketing. So you created an effective content and proper Email marketing strategy next you have to concentrate on making a supercharged landing page. Converting website visitors into customers is an art and science. With frequent testing, you can come up with a great landing page that gives the best conversion results. Not all website requires a landing page but it is suitable for E-commerce websites or if you going to offer a webinar, or selling an E-book or any services. Rather all the above plays important role in the blog, still SEO had a distinctive crucial part in blogging. Optimizing your blog with proper SEO strategy will help you to bring long-term organic traffic. The above-said things were the front end for your blog to attract visitors but on the back end, to grab attention from web spiders and crawlers there should be a proper SEO strategy being applied. SEO strategies include link building, removing duplicate contents, increase page speed, proper HTML coding and user-friendly design and layouts. SEO is a long-term process and you have to continuously work on your blog. Stay focused with your long-term goal.